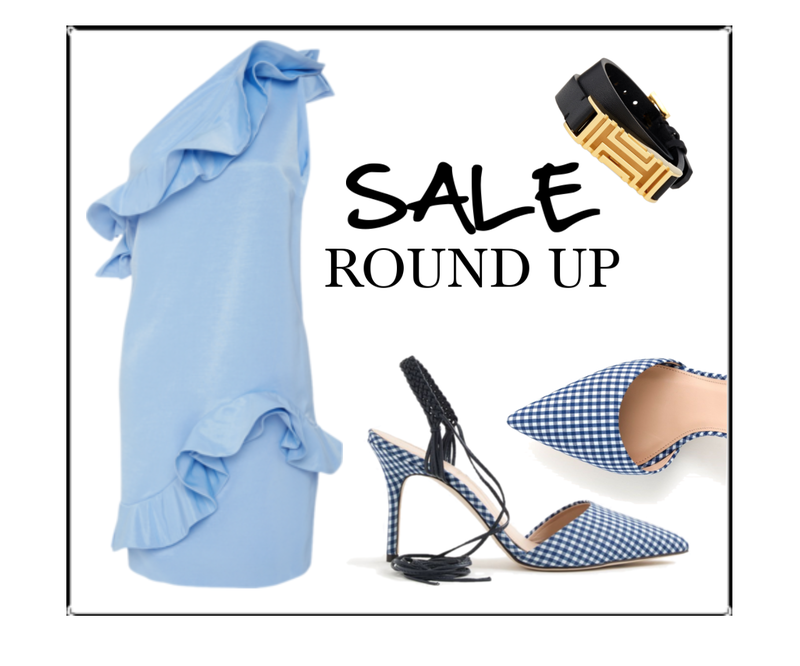 I've rounded up a few of my must-shop sales to kick of the summer season. I hope you all have a relaxing weekend spending time with loved ones reflecting on the significance of this holiday. Save on the retailers coveted designers like Top Shop,Kate Spade,Tory Burch and many more! The half yearly sale is one of my favorite times to shop and save on footwear, accessories and clothing. Shop the Tory Burch for Fitbit collection while it is on sale at Nordstrom as Fitbit products are often excluded from sales. 40% off ALL footwear and accessories PLUS, 30% off the brands chic summer must-haves. Have you been lusting after a specific investment piece? Now is the time to treat yourself with up to 50% off Dolce & Gabbana, Provenza Schouler, Temperley London, Marni and additional high-end designers. Stock up on J.Crews classically tailored styles as this sale includes new arrivals! I personally look forward to Anthro's Sale on Sale events. They are a great opportunity to score one-of-a kind pieces from the eclectic retailer. It’s that time again, where I present the summer “drill team” line-up. Espadrilles are a timeless classic that I keep in heavy rotation during the sun-kissed summer months. I have a few pairs that I enjoy wearing year after year. Of course I also always embrace the opportunity to introduce a few new styles into mix. The “flatform” is the new standard so prepare to see this comfy yet stylish elevated sandal all season long. I am flat out in love with this updated take on the classic espadrille, timeless and a summer must-have. The lace-up detail and nautical motif are the ideal travel companions for a savvy sun-drenched summer. Leave it Kate Spade to have all “the right stripes”, these throw on and go sole mates strike the perfect balance between feminine sass and laid-back whimsy. Step ahead in this updated wedge that will take you from garden parties to summer weddings, these are your new plus, one! We've reached new heights with Tory Burch’s unexpected take on summer footwear, dare to lace-up and put your best fashion foot forward.